Globethics.net participated in a conference that promotes balanced and inclusive education organised by partnering organisation Education Relief Foundation (ERF). 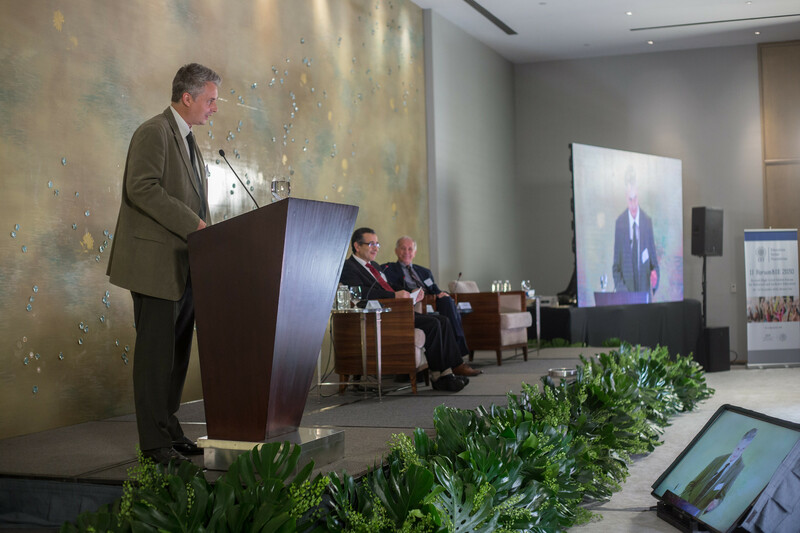 The Second ForumBIE (Balanced and Inclusive Education) 2030 took place in Mexico City on 20-22 November 2018 and brought together over 80 Stakeholders working within the framework of SDG4, including Ministries of Education, International Organisations, Academic Bodies, and Civil Society Organisations from around the globe for the second high-level international conference. As part of the conference proceedings, Globethics.net represented by Dr Ignace Haaz presented the Globethics.net Declaration of Inclusive Education, after discussing the topic of inclusive linguistic ethics, Declaration which details a continual commitment to promoting impartial access to information and education and engagement to overcoming exclusion of the marginalised through its online platform. ERF also launched their first publication The Global Guide of Ethics, Principles, Policies, and Practices in Balanced and Inclusive Education (available in the Globethics.net Library), which is the first in a series of publications (Global Guide Series) to provide the most comprehensive and effective framework for operationalisation to stakeholders, across sectors, regions, and contexts. For more information about the event, visit the official ForumBIE 2030 Website.